Shakin & Bakin Foodie Blog: Have You Heard Of Joss & Main Yet? New Daily Deal Site! Have You Heard Of Joss & Main Yet? New Daily Deal Site! Have you heard of the new daily deals web site store called Joss & Main yet? If not, I am going to tell you all about it today! Joss & Main is a daily deal site that is owned by CSN Stores and the same quality items & great customer service that you get when you shop CSN Stores is now offered through Joss & Main. I don't know about you...but I already shop CSN Stores and love their site of over 200+ stores! Last May we purchased a 65 year old home and over the past several months we have been remodeling it. I love being able to go online, shop for what I need and have it delivered to my home quickly...so CSN Stores has been my main destination to purchase the items we need. Joss & Main is owned by CSN Stores and every day you will find new daily deals on high quality and name brand items! The savings are up to 70% off retail prices so you really need to be checking out Joss & Main for some fabulous deals! Since I love to cook and bake I found 2 fabulous Hamilton Beach appliance deals on Joss & Main today! 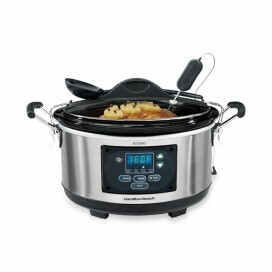 Right now you can get the Stay & Go Slow Cooker regularly priced at $70.00 for only $41.95. Wow....I use a slow cooker several times a week and have been looking for a new one and this one looks fabulous! I would love this slow cooker to make some great tasting barbecue short pork ribs, a big pot of chili or a big pot of chicken corn soup. I also found a great deal on the Hamilton Beach Classic Stand Mixer which usually sells for $79.95 but is currently on sale at Joss & Main for only $31.95 wow! Can you believe that you can own a brand new high quality stand mixer for only $31.95? What a fabulous bargain! 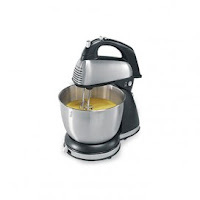 I would love this stand mixer to use every day for mixing up my cake batters, doughnut dough, omelets, pie fillings, etc. I love stand mixers and this one looks like a great one! If you are looking for some great deals on home decor, home furnishings, kitchen accessories & appliances, silver picture frames, faux fur rugs, clocks and just about any other item you would need for yourself, your home or as gifts! Head on over to Joss & Main today and check out all of their fabulous daily deals!